As we have done during past school breaks, the Germantown Legends will continue the tradition by holding 'Free Play' or 'Open' sessions during the upcoming Fall break. These sessions are for soccer players who are currently registered with any of the Germantown Legends soccer programs during the 2015 Fall season. The Germantown Legends Coaching Staff will be hosting small-sided games for those who want to come play soccer during Fall break. All players should bring water, appropriate size soccer ball and be wearing shin guards under their socks. Legends staff will also be available to answer questions regarding current and future programs being offered. Please be sure to visit the online calendar for the latest updates. 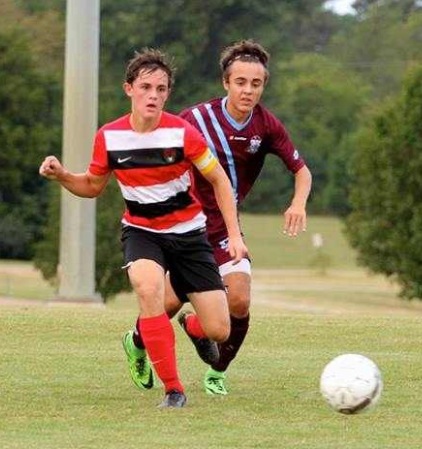 Sam Reddick, captain of the U19 Germantown Legends high school boys’ competitive soccer team, joined the Germantown Legends when the club first opened in this area. 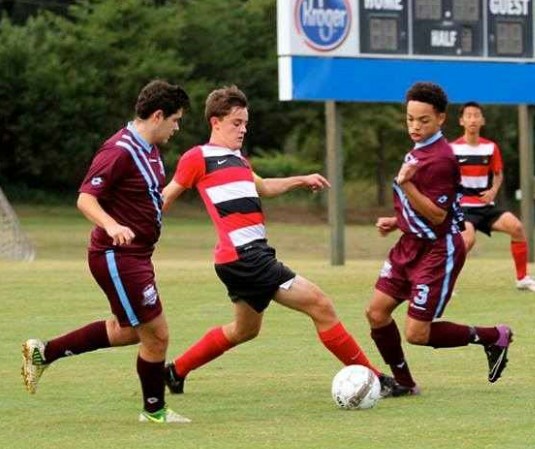 A recreational player since age four, Sam was looking to improve his skills and continue practicing with other boys from his middle school soccer team at Evangelical Christian School. Despite the long drive to practices from his home in Bartlett, the team was a good fit for Sam. He was able to develop both skills and confidence without committing to a program that demanded priority over every other aspect of his life. Sam, now 16 and a junior at ECS, is an outstanding student who aspires to one day become an orthopedic surgeon. In addition to the Legends, Sam plays on the ECS varsity soccer team which made the TSSAA 2015 State semi-finals in the spring. He also serves on the Shelby County Mayor’s Youth Council, plays first chair French horn in the concert band and competes in Knowledge Bowl. Sam makes time to give back to others, too, and worked as Volunteer at St. Jude Children’s Research Hospital last summer. He also helps with his church’s Vacation Bible School and offers free tutoring to younger students in both math and Latin. Under coaches David Ridenhour, Kirk Dunaway, and Tyler Matz, Sam has grown as a player and a leader. He is known for his respectful attitude, dry wit, strong work ethic, and commitment to excellence in all aspects of his life. Sam encourages and directs his teammates from his position as center-back and defensive mid. Now in his second season as team captain, Coach Kirk has given Sam additional responsibilities and is helping him develop character and leadership skills, in addition to honing his technical abilities. The team recently won their second Rose Cup Championship (2014 and 2015), and are progressing in their quest to make the Tennessee State Soccer Association (TSSA) 2015- 2016 State play-offs this season. DO YOU KNOW SOMEONE WHO SHOULD BE RECOGNIZED FOR THEIR ACHIEVEMENTS? We are looking for a Player, Coach or Volunteer to recognize each month. If you have someone you would like to nominate, please send an email to INFO@GermantownLegends.com requesting the nomination form or CLICK HERE to access the form online. We are in the process of planning our first ever Fall Festival for Thursday evening, October 29th. BUT, we are in need of VOLUNTEERS to help pull this event together. If you are interested in joining us in the planning and organization of this event, please send an email to INFO@GermantownLegends.com. 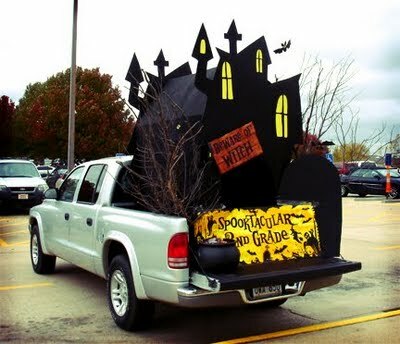 Online registration is now available for those wanting to host a TRUNK OR TREAT space. Please register online today, as space is limited. The Legends Skills Club is designed to develop young soccer players through their formative years and to give them all of the ingredients they need to succeed in the game at the highest level. Players from an early age need to acquire the technical ability to master the ball and be proficient with both sides of their body. The primary focus of the Skills Club is BALL MASTERY and FUN! All dates are subject to change. Additional training sessions may be added. Primarily for the U7 thru U10 REC player, the Legends Skills Club is for the player who wants to challenge themselves to reach the next level... with goal of playing at the High School, ODP or higher level. Can my child play recreational soccer and Skills Club at the same time? Yes! As a matter of fact, the Skills Club is designed to supplement the recreational soccer experience, not replace it. What is the cost of the Legends Skills Club? The Legends Skills Club includes training sessions and a Legends Skills Club training top. When and where is the REC Soccer Skills Club held? All Legends REC Soccer Skills Club Training Sessions will be held at the Cloyes Soccer Park, unless otherwise stated on the Skills Club Training Schedule page. TOPSoccer (The Outreach Program for Soccer) is a community-based soccer program designed to meet the needs of athletes with physical, developmental, and or intellectual disabilities. Player participation and development are key elements of the program. TOPSoccer is designed to improve the overall fitness, self-esteem and social skills of your athlete. In short, TOPSoccer takes individuals from the sidelines to participating in the game. Participation is FREE,….. register online today. Want to become a TOPSoccer Buddy? Register (above) online today. While the 2015- 2016 team tryouts have been held, we do have a few openings. If you are interested in joining the Legends, please contact us. Formerly known as Kohl’s Cup, the Tennessee State Soccer Association (TSSA) is extremely excited to partner with the Columbia Soccer Association (CSA) to host the Fall 2015 TSSA Friendship Cup in Columbia, TN! The tournament dates will be November 7- 8, 2015. TN Soccer will provide a family fun atmosphere for our newly named Friendship Cup. We will have inflatables, giveaways, and music on Saturday November 7, 2015. Games will be held at Cook Soccer Park in Columbia, TN. The Friendship Cup is open to all Division 4 registered Recreational teams registered with TSSA. All applications are due October 25, 2015 with payment. Link to application: www.tssa-friendshipcup.sportsaffinity.com (You will need to log in and create an account if you have not already for Affinity).